We write a lot about power tool technology and the benefits for the contractor or tradesman. This includes lithium-ion battery technology as well as tool control and tracking. 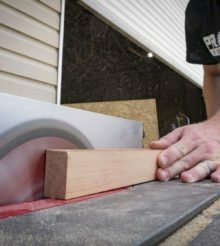 Our Milwaukee One-Key hands on review, delivers an in-depth look at how power tool technology can change the job site. Another example includes the Hilti ON!Track Asset Management Tool which handles inventory tracking and more. Even cell phones affects how you work. Our Kyocera Brigadier smart phone review shows there are truly durable, job site-tough waterproof options for Pros. We also cover other areas of power tool technology such as hardware mechanisms. That includes how a rotary hammer works and understanding the difference between brushed vs brushless motors. Do a lot of tiling or cutting? You can find everything you need to know about diamond blades. With new technology comes new areas for saving money or time. You can benefit from better ergonomics, higher cutting speeds, and more power. New tool tech also helps in lowering maintenance costs. Every bit helps!